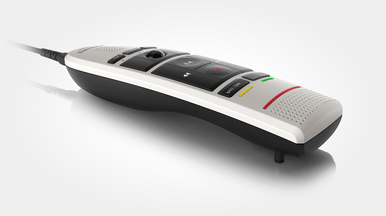 The professional Philips SpeechMike LFH-3200 (Push Button) USB microphone takes stationary dictation to a new level. 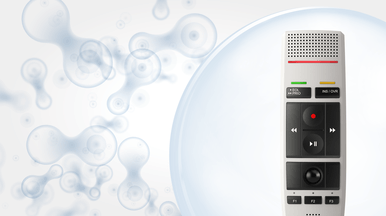 It delivers excellent speech recognition capabilities, an antimicrobial surface for improved hygiene, and refined ergonomics for easy operation. 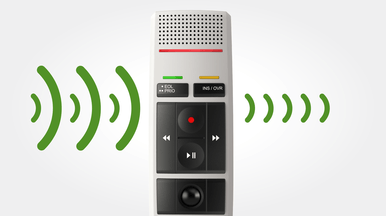 The LFH-3200 superior microphone reduces background noise and is optimized for speech recognition. The built-in headset socket allows you to attach the noise-canceling headset for hands-free recording and even more accuracy in a noisy environment. 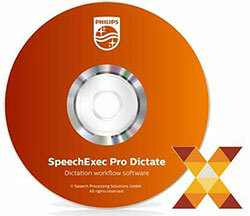 The dictation management software SpeechExec Pro Dictate allows the seamless and flexible integration of dictation, transcription, and voice recognition in a single application. 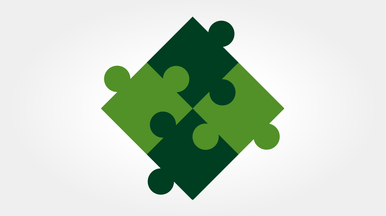 Dictation files and documents can be sent via network or email, uploaded to an FTP server, or archived in the company network - even in encrypted form. 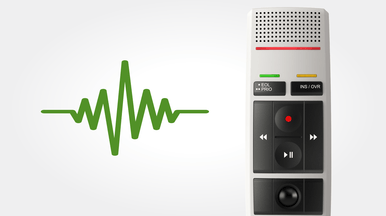 User-friendly functions allow for clear and transparent organization of the recordings and the implementation of an efficient document workflow. I purchase many dictaphones from your business over the years. You are wonderful to work with, the price is excellent, and your customer service is great! This is a great company to work with. I have never had a problem with an order. They process and ship orders promptly. 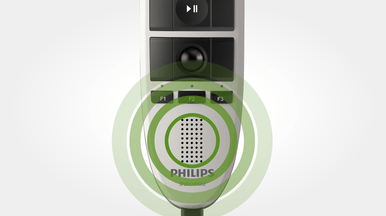 I order a lot of the Philips LFH-3200 Speechmikes and when I accidently ordered the wrong mike they called to confirm and corrected the order. They care about your satisfaction, answer the phone when called and have even contacted Phillips Technical Support on my behalf. I had no problem ordering the microphone. It came quickly and was exactly as listed. The Philips 3200 works wonderfully, and the buying experience through AAA was very smooth.